Italian composer (1866-1950), well-known for his operas Adriana Lecouvreur and L´Arlesiana. Great signed photo, inscribed and dated in 1948, mentioning Adriana Lecouvreur, his most famous opera. An original picture by A. Badodi, Milan. Total size is 7.5 x 10.75 inches, in excellent condition. Macmillan and Co., London 1866 - Red cloth, decorated in gilt, a.e.g. Frontis and illustrations by John Tenniel. Cloth handsoiled and rubbed, spine extremities frayed, hinges cracked (and with signs of having been recased, with light blue endsheets and the Burn ticket intact), endsheets foxed, scattered foxing and a few finger smudges elsewhere in the text, a few shallow ink bleeds along top and fore-margins of first few leaves, with evidence of same along upper edge of front cover, a few tiny repairs to fore-margins of two leaves (pp.91- 4), a few spots to upper fore-quadrant of lower cover; overall, a heavily read but good, intact copy. Cloth slipcase and chemise. 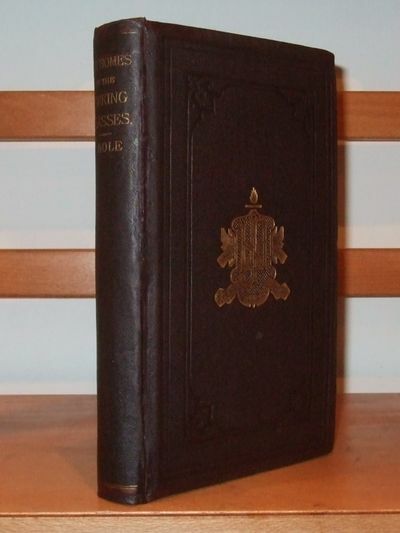 Second British edition, but first published printing. As is common knowledge, Tenniel and Dodgson disliked the reproduction of the drawings in the first printing, and but for a handful of bound copies, the remaining 1952 sets of sheets from the first printing were diverted for use as the American edition via cancel prelims. This second (but first published) impression is essentially the first readily procurable English impression. WILLIAMS & MADAN 33. (Französischsprachig) - rotes OHLdr. 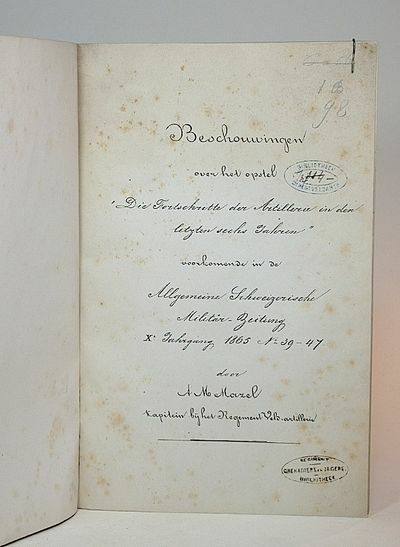 m. Rückenvergoldung, Schmuckvorsatzpapier, VIII/368 S./359 S./Bl../317 S., Lesebändchen. Bruxelles, A. Lacroix Verboeckhoven et Cie, 1866. Sehr schöne Ausgabe! Rückenkanten minimal beschabt, ein Band winzige Randstauchstellen, jeweils Name auf 2. Vorsatz, sehr geringfügig stockfleckig, sonst sehr gut erhalten. London: Macmillan and Co.,, 1866 & 1872. 2 works, octavo. Original red cloth, spines lettered in gilt, triple gilt fillets to covers with gilt vignette centrepieces, blue endpapers, gilt edges. Housed in a custom red half-morocco bookform box with red cloth sides, spine lettered in gilt. Frontispieces and 90 illustrations by John Tenniel. Adventures in Wonderland lightly rolled, spine darkened, loss at head of spine repaired with the "A" of "Alice" and part of first three letters of "Adventures" relettered, front hinge cracked, a little shaken, some light foxing to contents with a few page corners lightly creased, short closed tear at foot of p. 91. Through the Looking-Glass lightly rolled, extremities a little rubbed, a few markings to cloth, rear hinge split and front hinge starting, very minor foxing to initial and final leaves. Box a little rubbed. Overall a very good set. First published editions. The copies of the novelist Richard Adams, with his bookplate to the front free endpapers. Adams uses a quotation from Through the Looking Glass, alongside a quotation from Shakespeare, as the heading of the Epilogue to Watership Down: "He was part of my dream, of course  but then I was part of his dream, too." Adams drew parallels between his own and Carroll's works, due to his annoyance at the debate over the intended readership age of Watership Down. Adams stated that a work of fiction should be "first and foremost, a work of artistic integrity, by its subjects and merits appealing to readers of all ages, including children", going on to say that "the two 'Alice' books probably head the list here, with 'The Wind in the Willows' in honourably high place" (Adams, in Blishen, p. 163). Adams used the revenues from his highly successful novels to develop a substantial book collection, including many high spots of English literature. 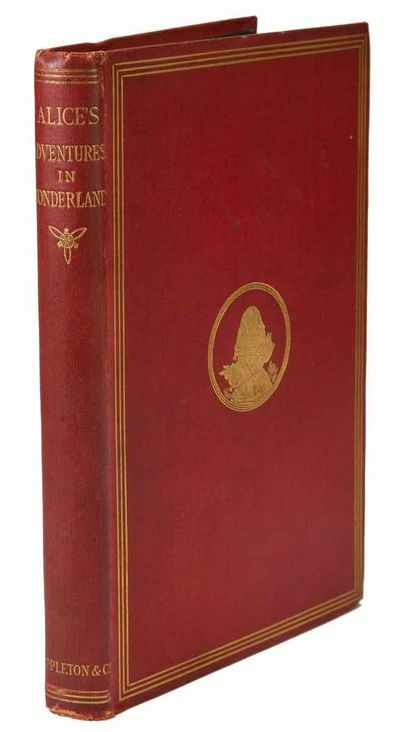 For these copies, Adventures in Wonderland is the first published edition, the second overall: the book was originally printed in Oxford at the Clarendon Press in June 1865, but was suppressed when Dodgson heard that the book's illustrator was dissatisfied with the quality of the printing. He recalled the few pre-publication copies he had sent out to his friends and donated them to hospitals, where most perished. Only 23 of those original "1865 Alices" are now extant, mostly in institutional holdings, thus creating one of the most famous black tulips of book collecting. The book was entirely reset by Richard Clay for the present authorized Macmillan edition, the earliest edition that can be realistically obtained. 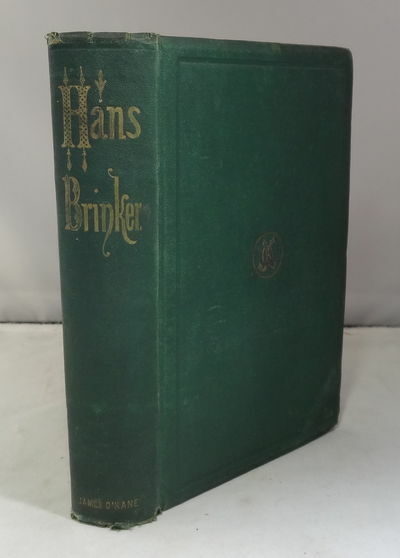 Although dated 1866, the edition was in fact ready by November 1865, in time for the Christmas market, and was published in a print run of 4,000 copies. 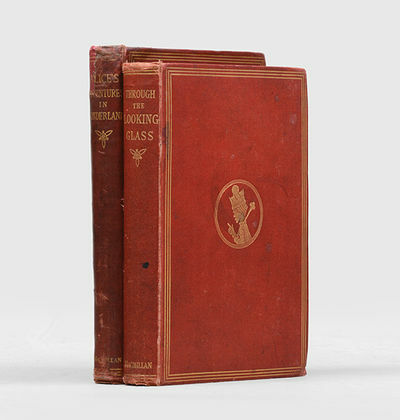 The copy of Through the Looking-Glass is the first edition; like its predecessor, it was published for the Christmas market and bears the following year's date in its imprint. It was actually published in December 1871, in an edition of 9,000 copies. 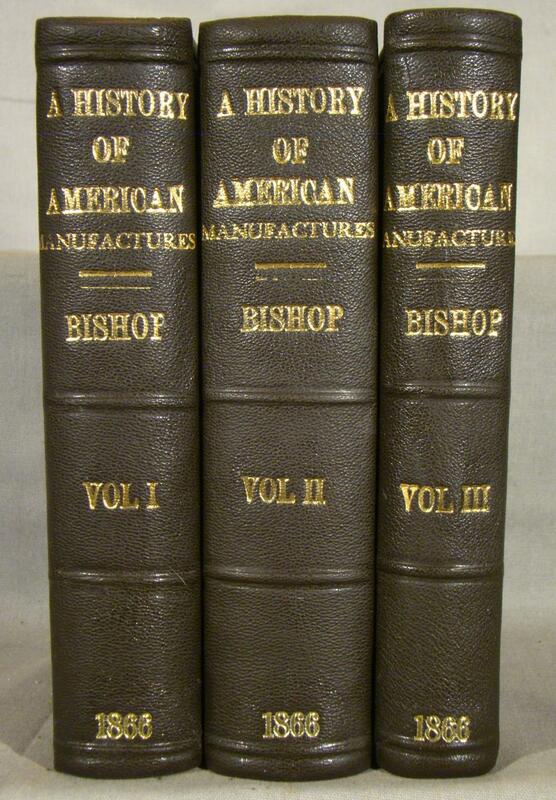 A History of American Manufactures from 1608 to 1860. Untersuchungen über das Sonnenspectrum und die Spectren der chemischen Elemente. Besonderer Abdruck aus den Abhandlungen der Königl. Akademie der Wissenschaften zu Berlin 1861 (bzw. 1862). 2 Teile in einem Band. This set of ephemera from H.W. Corbett & Co. includes a broadside published in 1866 and two way-bills from 1867. Broadside measures 13 ¾" x 10 ½". Lettering is in red and blue with illustration of stage in b&w and intricate border in blue. Broadside is in very good condition with light vertical creasing, minor chipping measuring 1" that has been repaired, evidence of minor trimming between 1- 2 cm total, and evidence that it has been framed at least twice with two types of tape on edges. 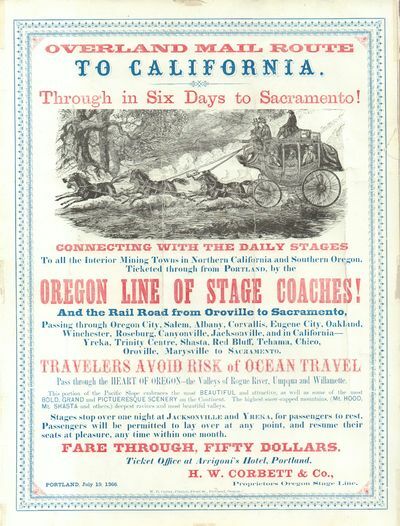 Broadside reads "Overland Mail Route to California - Through in Six Days to Sacramento! - Connecting with the Daily Stages to all the Interior Mining Towns in Northern California and Southern Oregon. Ticketed through from Portland, by the Oregon Line of Stage Coaches! - And Railroad from Oroville to Sacramento, Passing through Oregon City, Salem, Albany, Corvallis, Eugene City, Oakland, Winchester, Roseburg, Canyonville, Jacksonville, and in California - Yreka, Trinity Centre, Shasta, Red Bluff, Tehama, Chico, Oroville, Marysville to Sacramento. Travelers avoid risk of Ocean Travel - Pass through the Heart of Oregon - the Valleys of Rogue River, Umpqua and Willamette - This portion of the Pacific Slope embraces the most beautiful and attractive, as well as some of the most Bold, Grand, and Picturesque scenery on the Continent. The highest snow-capped mountains, (Mt Hood, Mt. Shasta and others) deepest ravines and most beautiful valleys. - Stages stop over one night at Jacksonville and Yreka, for passengers to rest. Passengers will be permitted to lay over at any point, and resume their seats at pleasure, any time within one month. - Fare Through, Fifty Dollars. - Ticket Office at Arrigoni's Hotel, Portland. - H.W. Corbett & Co., - Proprietors Oregon Stage Line." The first way-bill is folded twice, with the title, in blue, on recto and with a passenger chart, in blue and red, on verso. It measures 15 ½" x 9 ½" when unfolded. The title on an outside panel reads: "Way-Bill - California and Oregon United States Mail Line - Marysville and Sacramento - Thursday May 2 1867 - H.W. Corbett & Co." and has date, name of driver and name of agent in manuscript. No passengers, destinations or fares are listed. The second way-bill is set up the same way with same measurements but all print is in red. The title on an outside panel reads: "Way-Bill - California and Oregon United States Mail Line - Marysville and Yreka - Tuesday April 30 1867 - H.W. Corbett & Co." and has date, name of driver and name of agent in manuscript. The passenger chart on the inside is in manuscript with 19 passengers and their destination listed; also in manuscript are items carried for delivery including a Wells Fargo shipment and names of additional drivers. Both way-bills are in very good condition. Henry Winslow Corbett was "the epitome of the frontier tycoon" (Oregon Historical Society). With an extensive résumé, his interests included general merchandising, banking, transportation and politics. Corbett first established a general merchandising business out of Portland, Oregon under his own name, H. W. Corbett & Co. in the mid 1850's. In 1865 he formed the Oregon-California Stage Company which carried mail and passengers between Portland and San Francisco. He supported construction of the Northern Pacific Railway and served as the director of the Oregon Railroad and Navigation Company which eventually became part of the Union Pacific Railroad (Cascade Alliance Archives). His other interests were just as successful as his merchandising and transportation businesses. Corbett and business partner, Henry Failing, jointly bought the controlling interest in First National Bank in 1867. And as leader in Oregon's Republican Party, Corbett served as Oregon's U.S. Senator from 1867-1873. An influential businessman and important figure in the development of Portland he can certainly be considered a "frontier tycoon." Six copies of broadside in OCLC as of October 2017; four copies of way-bills in OCLC as of October 2017. .
Edinburgh & London: William Blackwood and Sons,, 1866. The radical. 3 volumes, octavo (198 x 130 mm). Early 20th-century tan half morocco by Birdsall & Son, Northampton, raised bands to spines, blue morocco labels, compartments decorated in gilt, blue cloth sides with a double gilt rule, marbled endpapers, top edges gilt. Bookplate of Sir George John Armytage, 6th Baronet (18421918) to front pastedowns. Extremities a little rubbed, pale spotting to prelims, otherwise an excellent copy. First edition. Felix Holt was "less successful than Adam Bede, The Mill on the Floss, or Silas Marner, although nearly 5000 copies were sold in the first year" (ODNB). CRIME SCENE &#150; KARMELENBERG, GERMANY: CARMELBERG BEI PASSENHEIM. [Germany, Karmelenberg region] . 1866 - Pencil and water-colour hand-drawing with manuscript in ink below, on thick paper (Very Good, light foxing, old collector's stamp verso) 20,5 x 25,5 cm (8 x 10 inches). A unique 19th century drawing shows a crime scene at a chapel on the mountain Karmelenberg, near Koblenz in Germany. 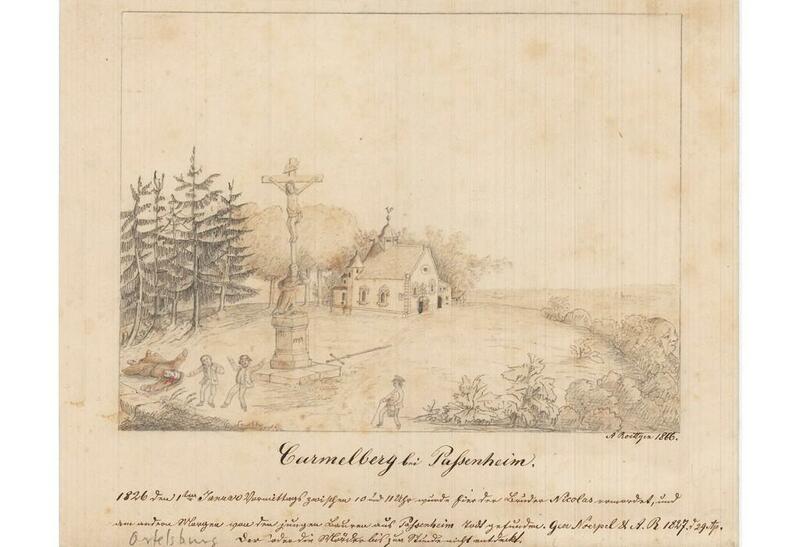 A detailed drawing shows a chapel on the mountain Karmelenberg in German, where two young farmers found a body of a hermit Nicolaus Hoelzer, in the morning of January 1st 1827. The hermit was murdered by robbers, who were never traced down. The drawing is manufactured by an amateur hand, but shows numberless documentary details, such as placement of the objects and the body, as well as architectural details with dates on the chapel and the monument and the view from the mountain. It is possible the author depicted himself as a bypasser in the front, who is about meet the two youths a few steps later. Karmelenberg with its chapel from 1662 is today a popular hiking destination. The murder of the last hermit Nicolaus Hoelzer is still recorded in the local history. Provenience: According to the stamp on the back, the drawing belonged to a collector Hans Philipp Gutacker. Die Abschaffung des geschäftlichen Risico durch Herrn Lassalle. Ein neues Kapitel zum Deutschen Arbeiterkatechismus. Photographs of English and Scottish scenery. Blair-Athole. 12 views. 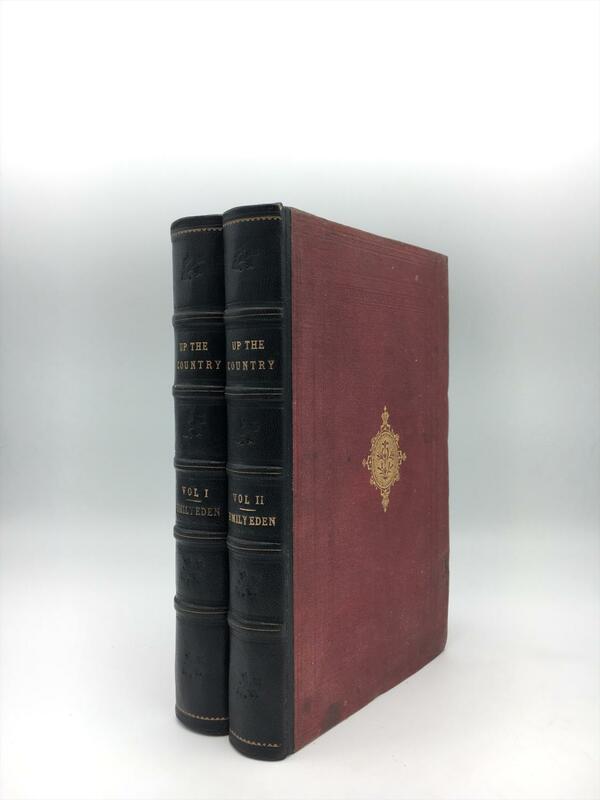 London, Frederick Warne and Co., New York, Scribner & Co., circa 1866.. SEVENTEENTH EDITION (stated on title page) circa 1866 (date on dedication page, no later titles on lower cover) small oblong 4to, 135 x 208 mm (page size), 5 5/16 x 8¼ inches, plain red pebbled cloth spine, yellow boards with red ruled border, title and author on upper cover black on red banner, coloured illustration repeating title page: a jolly man presents our book to 7 excited children, publisher's adverts to lower cover, pages: (2), 1-111, (2). Reprint of enlarged 3rd edition (1861, 43 extra drawings) published by Routledge, Warne & Routledge, engraved by the Dalziels and printed at the Camden Press. HAND COLOURED TITLE PAGE AND 112 HAND COLOURED ILLUSTRATIONS with limerick beneath. Expertly recased and rebacked, original spine and endpapers retained, spine slightly worn and rubbed, neatly strengthened at head and tail, corners and board edges worn, a few light scratches and tiny scrapes to covers, 5 handwritten limericks and 2 small drawings in ink on front endpapers with a couple of ink smudges, looks 19th century, 3 word inscription in pale ink on Dedication page, small repair on reverse of title page to lower inner margin, a couple of tiny smudges on page 22, pinhole to margin of 2 pages, tip of 1 lower and 1 upper corner missing (margin only), 1 plate has slight loss to inner margin, now reinserted on a tab, 1 tiny chip to lower inner edge of page 106, very occasional pale fingermark and a few tiny pale spots. Generally very clean and bright. A very good copy of a HAND COLOURED copy. Hand coloured copies are quite scarce. 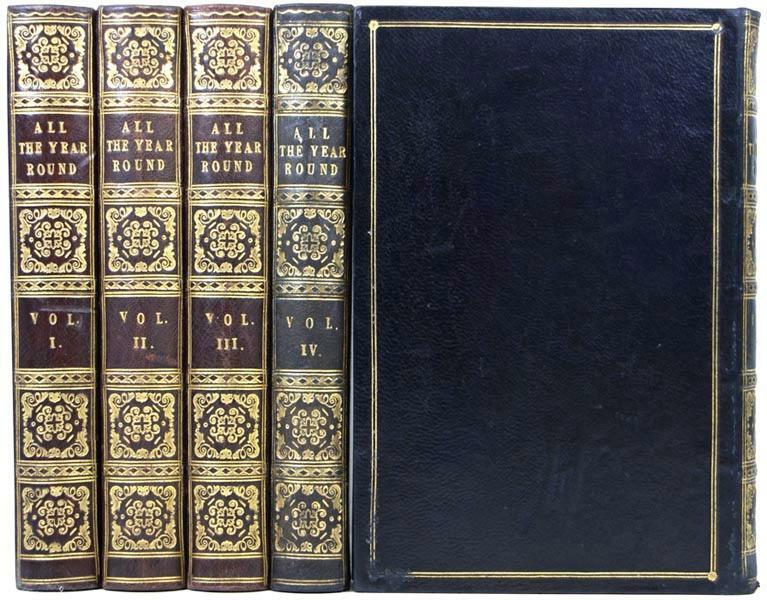 Routledge, Warne & Routledge published the 16th edition circa 1865 of which some copies were certainly hand coloured. 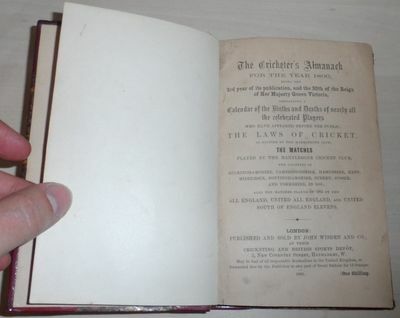 Warne set up on his own on 1st of July 1865 and this 17th edition must have been one of the earliest editions he published. The price is stated on the cover: "3/6 or with the Plates fully Coloured Price 6s.". Osborne I,69-70; Vivien Noakes page 169, No. 76. MORE IMAGES ATTACHED TO THIS LISTING, ALL ZOOMABLE. FURTHER IMAGES ON REQUEST. POSTAGE AT COST. 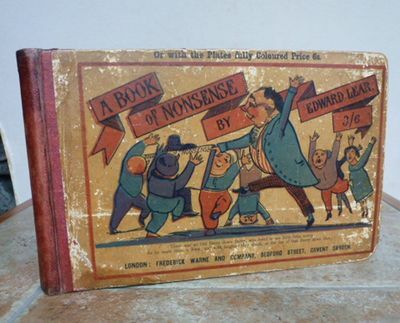 THE BOOK OF NONSENSE. Hand coloured copy. London, Frederick Warne and Co., New York, Scribner & Co., circa 1866. 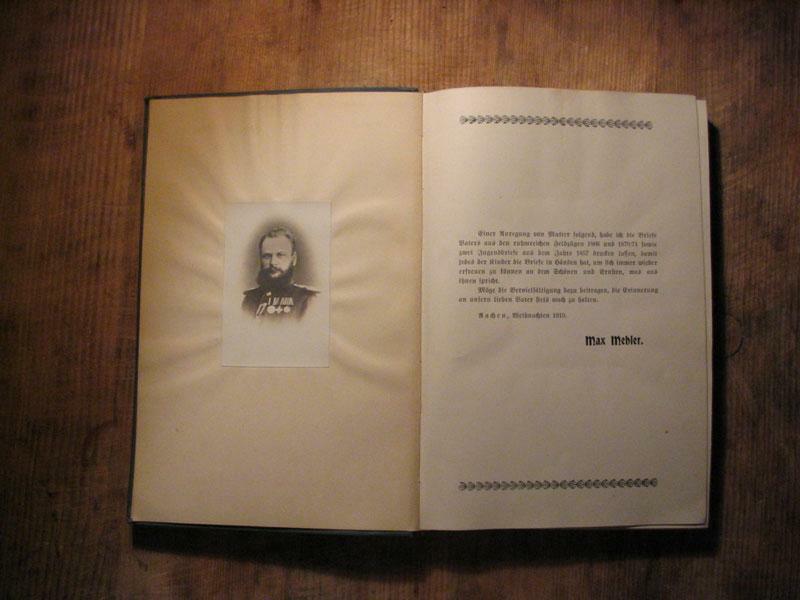 SEVENTEENTH EDITION (stated on title page) circa 1866 (date on dedication page, no later titles on lower cover) small oblong 4to, 135 x 208 mm (page size), 5 5/16 x 8¼ inches, plain red pebbled cloth spine, yellow boards with red ruled border, title and author on upper cover black on red banner, coloured illustration repeating title page: a jolly man presents our book to 7 excited children, publisher's adverts to lower cover, pages: (2), 1-111, (2). Reprint of enlarged 3rd edition (1861, 43 extra drawings) published by Routledge, Warne & Routledge, engraved by the Dalziels and printed at the Camden Press. HAND COLOURED TITLE PAGE AND 112 HAND COLOURED ILLUSTRATIONS with limerick beneath. Expertly recased and rebacked, original spine and endpapers retained, spine slightly worn and rubbed, neatly strengthened at head and tail, corners and board edges worn, a few light scratches and tiny scrapes to covers, 5 handwritten limericks and 2 small drawings in ink on front endpapers with a couple of ink smudges, looks 19th century, 3 word inscription in pale ink on Dedication page, small repair on reverse of title page to lower inner margin, a couple of tiny smudges on page 22, pinhole to margin of 2 pages, tip of 1 lower and 1 upper corner missing (margin only), 1 plate has slight loss to inner margin, now reinserted on a tab, 1 tiny chip to lower inner edge of page 106, very occasional pale fingermark and a few tiny pale spots. Generally very clean and bright. A very good copy of a HAND COLOURED copy. Hand coloured copies are quite scarce. 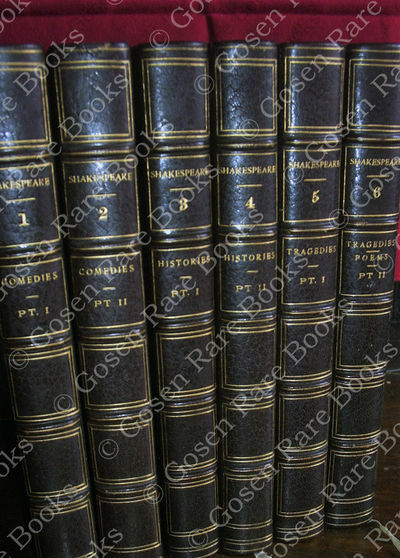 Routledge, Warne & Routledge published the 16th edition circa 1865 of which some copies were certainly hand coloured. Warne set up on his own on 1st of July 1865 and this 17th edition must have been one of the earliest editions he published. The price is stated on the cover: "3/6 or with the Plates fully Coloured Price 6s.". Osborne I,69-70; Vivien Noakes page 169, No. 76. MORE IMAGES ATTACHED TO THIS LISTING, ALL ZOOMABLE. FURTHER IMAGES ON REQUEST. POSTAGE AT COST. London: Longmans, Green, and Co, 1866. Book measures 8 3/4 x 5 3/4 inches. Collation, xiv,214pp, folding frontis, 21 other folding plates. Bound in original publishers brown cloth, blind stamp tooling, gilt lettering, gilt design on top board. Cloth repaired on head and tail of spine. Binding in very good clean firm condition. Internally, light tanning to a couple of plates. Pages and plates in very good clean condition. A very nice copy. . Publishers Cloth. Very Good. 8vo. Feldbriefe. Herausgegeben von Max Mehler. Privatdruck, Aachen 1910. Gr.8°, Leinwandeinband, 3 montierte s-w-Fotos mit Portraits Mehlers, 2 aufklappbare Karten (Druck nach handgezeichneter und colorierter Vorlage), ca. 150 Seiten. - Zustand: Buch etwas gewölbt, Gelenke geringst angeplatzt, eine Karte mit Einriss (ca. 3cm), sonst sehr schön. Das Buch war nie im Handel, wurde wahrscheinlich nur in einer sehr kleinen Auflage gedruckt. Der Autor war Teilhaber der Maschinenbau-Frabrik Nolten & Mehler (wohl) in Aachen. Das Vorwort lautet: &#132;Einer Anregung meiner Mutter folgend, habe ich die Briefe Vaters aus den ruhmreichen Feldzügen 1866 und 1870/71 sowie zwei Jugendbriefe aus dem Jahre 1857 drucken lassen, damit jedes der Kinder die Briefe in Händen hat [.]. Aachen, Weihnachten 1910, Max Mehler". Die Quelle ist von sowohl für die Geschichte der Kampfhandlungen und der im Text erwähnten Einheiten, als auch für die Industriegeschichte Aachens von höchster Bedeutung. 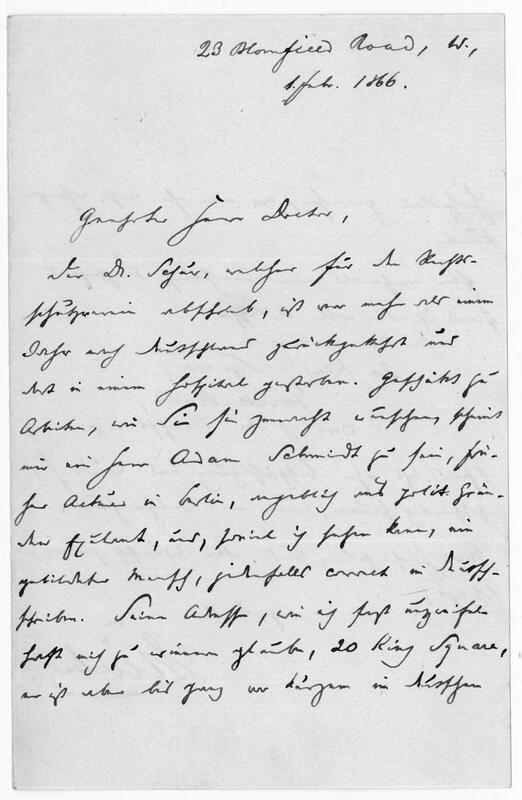 27 abgedruckte Briefe schrieb Mehler vom Feldzug 1866 (46 Seiten), 40 Briefe vom Feldzug 1870/71 (100 Seiten). Am Ende sind 2 Jugendbriefe abgedruckt (4 Seiten). Die Briefe erzählen sowohl von den Feldzügen, bringen aber auch Interna der Fabrik Nolten & Mehler. 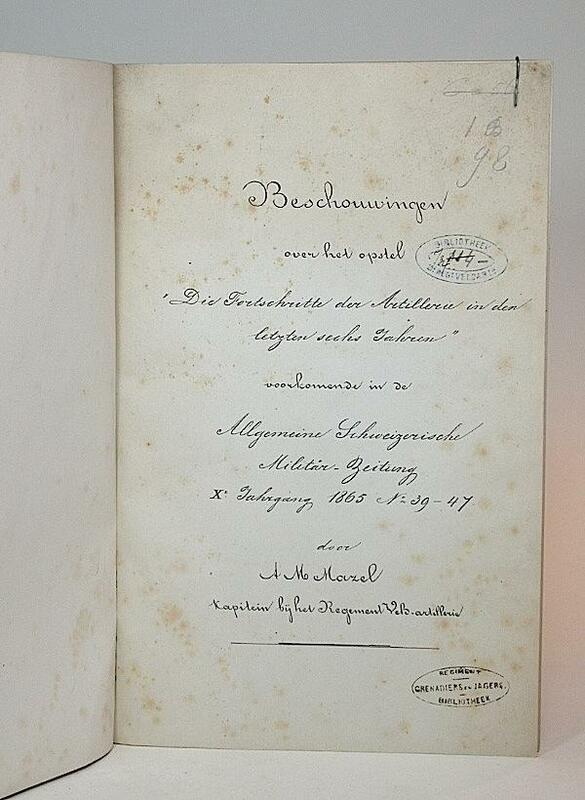 Carl Mehler stammte aus Aachen und machte 1857 sein Examen. Im selben Jahr reiste er zu Verwandten nach Fulda, um die &#132;Bergwissenschaft" zu studieren. In einem Brief 1857 spricht er aber auch davon, Maschinenbau zu studieren und hernach in einer Fabrik in Aachen zu arbeiten. Vom 1.10.1863 bis zum 1.10.1864 diente er beim 2. Rheinischen Infanterie-Regiment Nr. 28 in Aachen. Am 29.10.1864 wurde er zum überzähligen Unteroffizier ernannt. 1866 wurde er bei der Mobilmachung zum 1. Rhein. IR Nr. 25 nach Sonderburg (Schleswig) eingezogen. Die 27 Briefe wurden verfasst in Sonderburg, Harburg, Bollstedt bei Mühlhausen/Thüringen, Mackenzell bei Fulda, Schönau a.d. fränkischen Saale, Kleinostheim bei Aschaffenburg, Wörth am Main, Uettingen bei Würzburg, Zellingen, Lohr, Roßbach, Fulda, Frankfurt, Walluf, Caub bei Bingen, Oberwallmenach und Dahlheim. Die schöne farbige Karte &#132;Übersichtsskizze für die Märsche und Gefechte des I. Rhein. Inf. Regts. No. 25 im Feldzuge 1866" (aufgelappt 52x40cm) zeigt anschaulich den Verlauf des Marsches. Der erste Brief vom Krieg gegen Frankreich datiert auf den 22.7.1870. Mehler dient im 8. Rhein. IR Nr. 70 als Vizefeldwebel der Reserve. Er scheint in der Forma Nolten & Mehler eine leitende Position inne zu haben (wohl als Gründer einen Direktorenposten). Die Firma war wohl im produzierenden Maschinenbaugewerbe tätig (Lokomotiven? Werkzeugmaschinen?). 1870 wird er zum Leutnant der Landwehr ernannt. Bis September 1870 ist sein Regiment als Festungsbesatzung in Saarlouis stationiert, danach geht es nach Frankreich. An der Belagerung von Metz nimmt Mehlers Einheit teil, dann am langen Vormarsch durch Frankreich (über Reims und Amiens bis Rouen, dann St. Quentin &#150; hierzu die aufklappbare Karte, Größe 34x52cm). Der letzte Brief datiert vom 28.2.1871. Die Briefe aus dem Krieg sind überwiegend an seinen Freund und Angestellten (wohl Prokuristen) Johann gerichtet (ca. 1/5 der Texte beziehen sich dabei auf Interna der Firma). 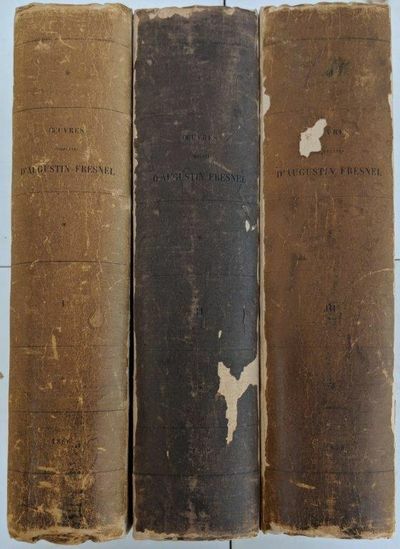 Oeuvres Completes d'Autustin Fresnel [3 volumes]. Paris:: Imprimerie Imperiale, 1866., 1866. 3 volumes. 4to. , xcix, , 804, ; , 864, ; , lxxv, , 751,  pp. Frontis. portrait, folding color map, 17 plates, figs. Original beige printed boards. Bookplate of Andras Gedeon. RARE IN ORIGINAL BOARDS. First Collected edition. Frensel was a French physicist and one of the first and proponents of the wave theory of light. His contributions to both mathematics and optics can be seen in the quantity of concepts named for him: he is the namesake of the Fresnel lens, equations, integral, rhomb, zone, number, and imager. "Beginning in 1804 Fresnel served as an engineer building roads in various departments of France. He began his research in optics in 1814. 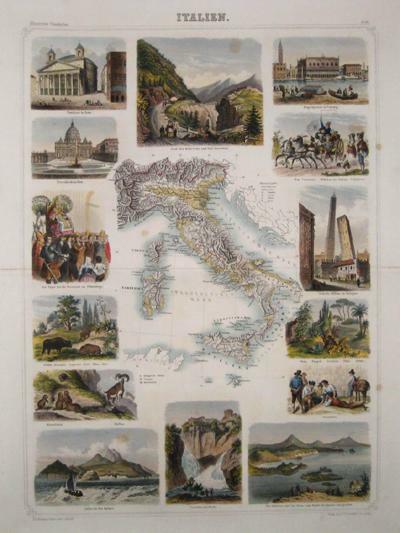 He lost his post temporarily during the period following Napoleon's return from Elba in 1815. At the beginning of the 19th century, the scientific community championed Isaac Newton's corpuscular, or particle, theory of light. However, in 1802 Young showed that an interference pattern is produced when light from two sources overlaps, which could happen only if light was a wave. Fresnel initially did not know about Young's experiment, but his experiments with various devices for producing interference fringes and diffraction convinced him that the wave theory of light was correct. As a starting point for his mathematical description of diffraction, Fresnel used Dutch scientist Christiaan Huygens's principle that every point on a wave front can be considered a secondary source of spherical wavelets. 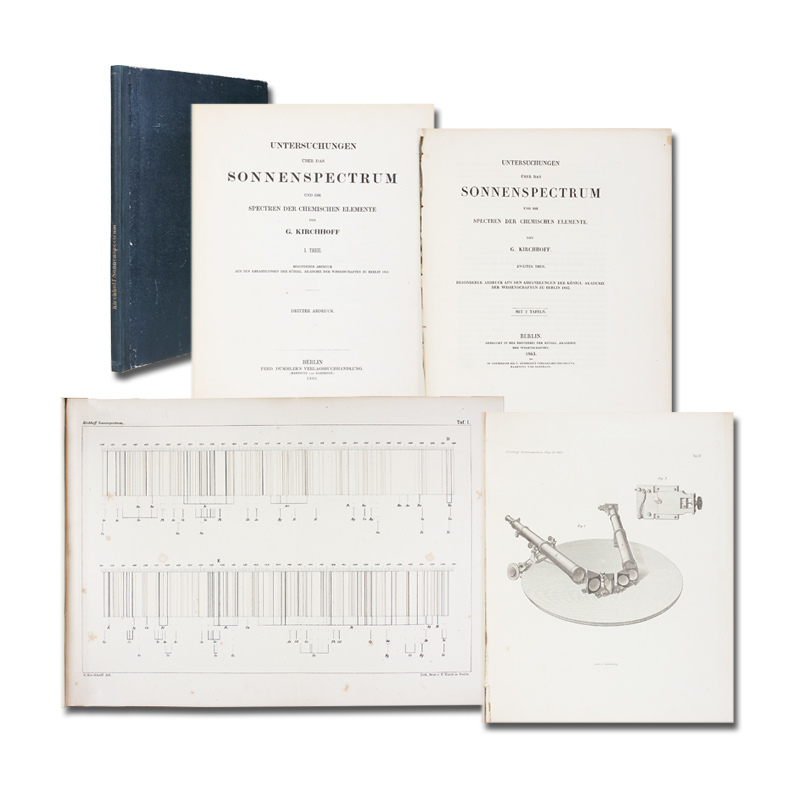 Fresnel presented his work on diffraction as an entry to a competition on the subject sponsored by the French Academy of Sciences in 1819. The committee of judges included a number of prominent advocates of Newton's corpuscular model of light, one of whom, mathematician Simeon-Denis Poisson, pointed out that Fresnel's model predicted a seemingly absurd result: if a parallel beam of light falls on a small spherical obstacle, there will be a bright spot at the centre of the circular shadow -- a spot nearly as bright as if the obstacle was not there at all. An experiment was subsequently performed by the French physicist Francois Arago, and the spot (subsequently called Poisson's spot) was seen, vindicating Fresnel, who won the competition. Despite this triumph for the wave theory of light, the properties of polarized light could seemingly be explained only by the corpuscular theory, and beginning in 1816 Fresnel and Arago studied the laws of the interference of polarized light. In 1817 he was the first to obtain circularly polarized light. This discovery led him to the conclusion that light was not a longitudinal wave as previously supposed but a transverse wave. (Young had independently reached the same conclusion.) On the recommendation of Arago, in 1819 Fresnel joined Arago on a government committee to improve French lighthouses. In 1821 he produced his first apparatus using the refracting properties of glass, now known as the dioptric system. On a lens panel he surrounded a central bull's-eye lens with a series of concentric glass prismatic rings. The panel collected light emitted by the lamp over a wide horizontal angle and also the light that would otherwise escape to the sky or to the sea, concentrating it into a narrow horizontal pencil beam. With a number of lens panels rotating around the lamp, Fresnel was then able in 1824 to produce several revolving beams from a single light source, an improvement over the mirror that produces only a single beam. To collect more of the light wasted vertically, he added above and below the main lens triangular prism sections that both refracted and reflected the light. By doing this he considerably steepened the angle of incidence at which rays shining up and down could be collected and made to emerge horizontally. Thus emerged the full Fresnel catadioptric system. Although his work in optics received scant public recognition during his lifetime, Fresnel maintained that not even acclaim from distinguished colleagues could compare with the pleasure of discovering a theoretical truth or confirming a calculation experimentally." - Encyclopaedia Britannica. 4 vols. London: Groombridge 1866-67. With 238 wood-engravings printed in colour. XV + 208; IV + 204; IV + 248; IV + 246 pp. Rebacked [in original style] copy bound in publisher's pictorial cloth. A few leaves weakly browning, plates generally clean. Bindings weakly faded and marked of use, first guard tissue with tear. * 1st edition. This work was published in 60 parts and it appears with differently dated title-pages 1859-1867, 1867 seems to have been issued at the completion of the work, which was rounded off by the 'Appendix' &c. It is arranged in the main according to the system of Temminck. The plates were executed by B. Fawcett, the printer of the work. Anker 59. Nissen 136. Beschouwingen over het opstel "Die Fortschritte der Artillerie in den letzten sechs Jahren" voorkomende in de Allgemeine Schweizerische Militär-Zeitung, Xe Jahrgang, 1865 No. 39-47. Orig. udgave. Kbhvn. : Gyldendalske Boghandel 1866. 272 s. Pænt og velholdt eksemplar indbundet i samtidigt halvlæder med guldtryk på ryggen. Np., Np., (1866).. Royal quarto. Pp. (i), 43, 44-61. Entirely lithographed from the manuscript. Hardcover, bound in contemporary cloth and marbled boards, manuscript lettering-piece in neat contemporary hand and old shelf ticket to spine; small old military institutional stamps to title, small crack to bottom of cover, foxed. In a very good condition. ~ First edition. Curious, most interesting and remarkably rare publication. With no imprint whatsoever the entire Mazel's manuscript has been lithographed and reproduced from the original. Here, Mazel, Captain of Artillery, reflects on a long essay which appeared in installments in the "Allgemeine Schweizerische Militär-Zeitung" through several issues in 1865, examining the progress of artillery in the passing six years. The second part of his reflections comprises of a series of very detailed tables of ballistics data. Only single institutional holding worldwide, that in the National Military Museum, Netherlands. 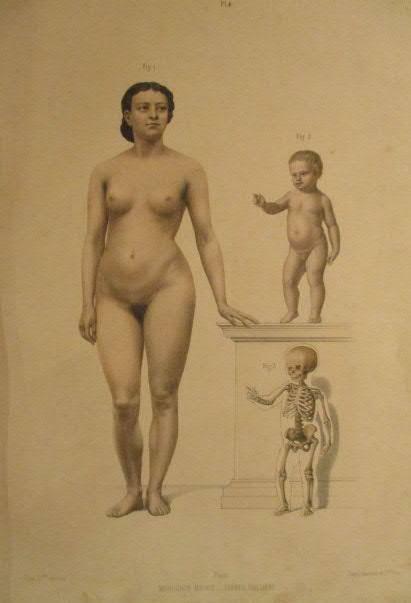 Méquignon - Marvis et Germer Baillière, 1866 - Album in-4 reliure demi basane d'époque. Bien complet des 25 planches couleurs montées sur onglet. A.Ph. 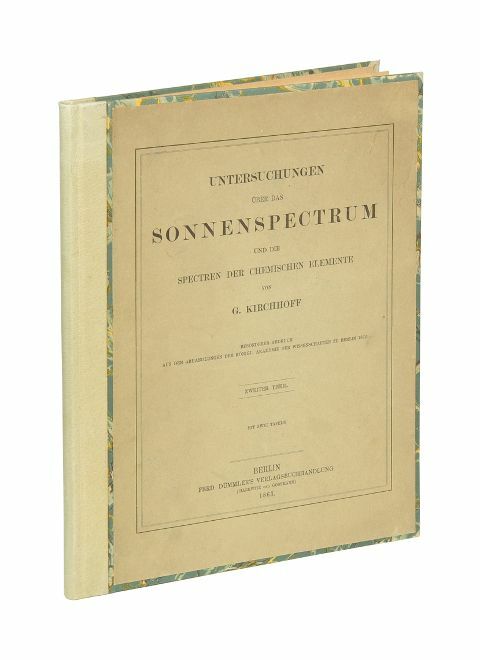 Untersuchungen über das Sonnenspectrum und die Spectren der chemischen Elemente. 2 Teile in 1 Band. London: George Routeledge & Sons, 1866. Hardcover. Fine. John Gilbert. Shakespeare, The Works, Illustrations by John Gilbert, engraved by the Brothers Dalziel, London: George Routeledge & Sons, 1866. Edited by John Staunton. 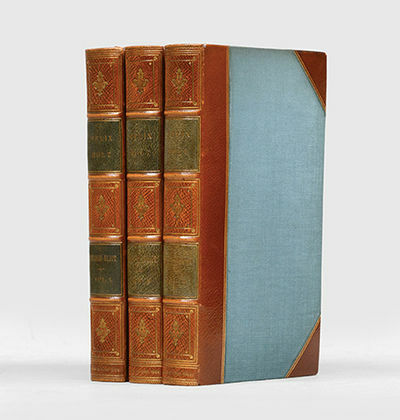 Originally issued as a 3-volume set, rebound here in 6 volumes, half-brown morocco on light-brown cloth. Gilt edges all around. Silk book marks. Binders tag of Myers & Co., New Bond Street, London W1 in each volume. Each volume has an ink presentation gift inscription: To Ivy, With love from Dad and Mum. Christmas 1934. First volume has a preface, biography, appendix with Shakespeares will and a preliminary note about the folio of 1623, commendatory verses, as well as an addenda and corrigenda [lxviii]. Fine. New York: M. Doolady, Publisher, 448 Broome Street, 1866. Very Good. First edition. Octavo. pp. [1-3] 4-329 [330 (blank)]. Publisher's light purple cloth over boards, gilt spine, mustard-yellow endpapers. Fading to the spine and board edges, a few small tears to the spine ends and front joint, very good or better. A defender of the Old South, Charles Russell was a prominent Confederate States of America attorney and politician during the Civil War. He presents this story of the fate of a Virginia plantation and its slaves during the Civil War from a Southern viewpoint:"Colonel Frederick Fairfax, the last who has borne that name ... was among the most successful planters of Virginia ... As a slaveholder a numerous population depended upon him, and, with his accustomed energy, he exercised over them the functions both of guardian and governor. No slaves had their wants supplied with more judicious or provident liberality than his ... Believing the servitude of negroes under a superior race to be a needful supplement to their improvident nature, he did not, with sentimental inconsistency, shrink from the exercise of the authority and discipline which servitude implies. He was a humane master, but he was master. "A handsome copy of Russell's tribute to the Lost Cause. Scarce in the trade. OCLC locates only two physical copies, both at the British Library, and there is a copy in the Wilmer Collection of Civil War Novels at the University of North Carolina. 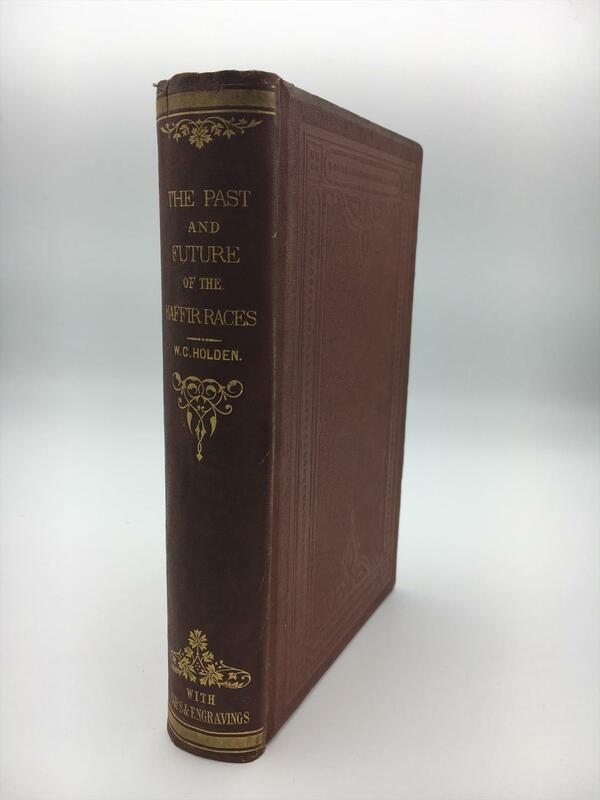 Sabin 72579; Wright, American Fiction 1851-1875 (2140). Die preussische Expedition nach Ost-Asien. Nach amtlichen Quellen. Zoologischer Theil, erster Band: Allgemeines und Wirbelthiere; zweiter Band: Die Landschnecken und Botanischer Thei: Die Tange. New York: James O'Kane, 1866. First Edition. Hardcover. Good. Thomas Nast. First printing. 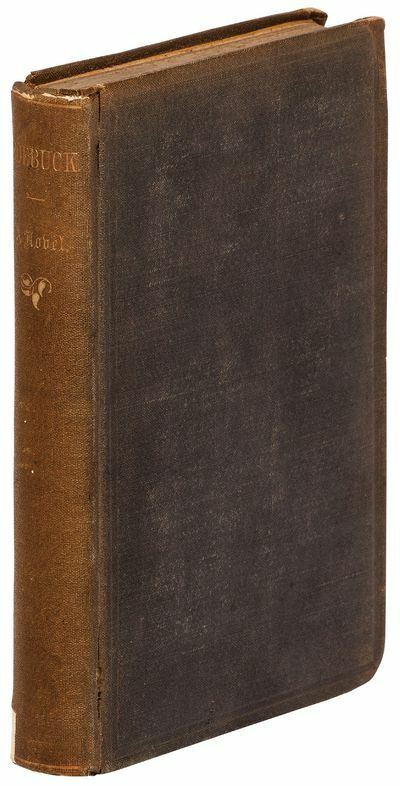 Presentation copy with "Presented to/Robert Dale Owen/by the author/January, 1866." The inscription appears to by in Owen's hand, who was the man responsible for introducing the legislation to establish the Smithsonian. Illustrated by Darley and Thomas Nast. Bound in the original green cloth-covered boards. Rubbed with lightening on the back board, hardly any to the spine and front board. A slightly forward-leaning spine. Pages with some foxing, but could be worse. Overall a good first edition of this classic novel. 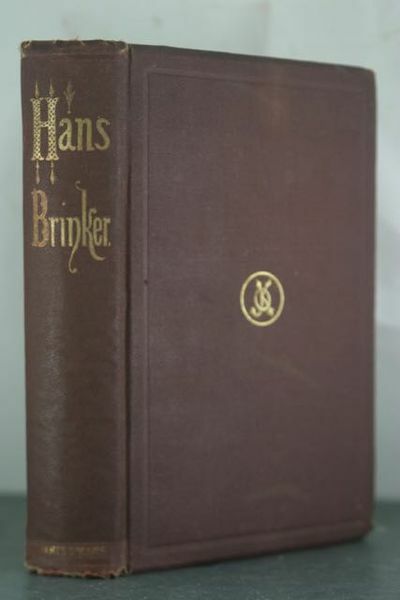 Hans Brinker; Or, The Silver Skates. A Story of Life in Holland. James O Kane. Hardcover. New York, 1866. 8vo, publisher's beveled brown cloth stamped in gilt. 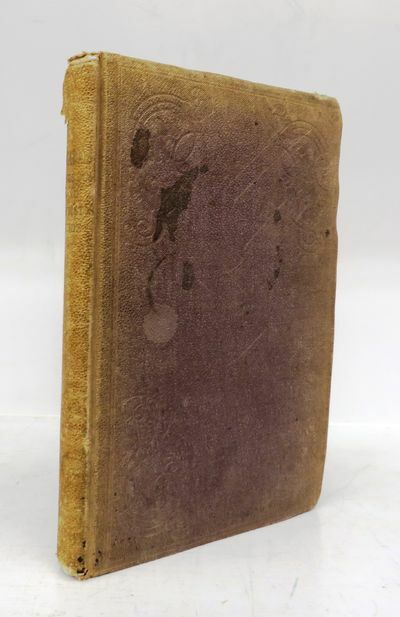 A very good copy of the first edition, apparently bound without the advertisements, well preserved in its original binding with a few flaws: bottom of spine repaired and frayed, slightly shaken, some scattered normal foxing, bookplate on front endpaper. Remains in very good condition, bright and attractive. A cornerstone in nineteenth century American children's books. BAL 4753. . Very Good. Montreal: M. Longmoore & Co., 1866. First Edition. Hardcover. Good. 196 p. plus 22 p. ads. 10 plates. All photographs by Notman are present. Paintings by Krieghoff are also reproduced. Minor spots to plates. Includes appendix of zoological information. Ads printed in blue. 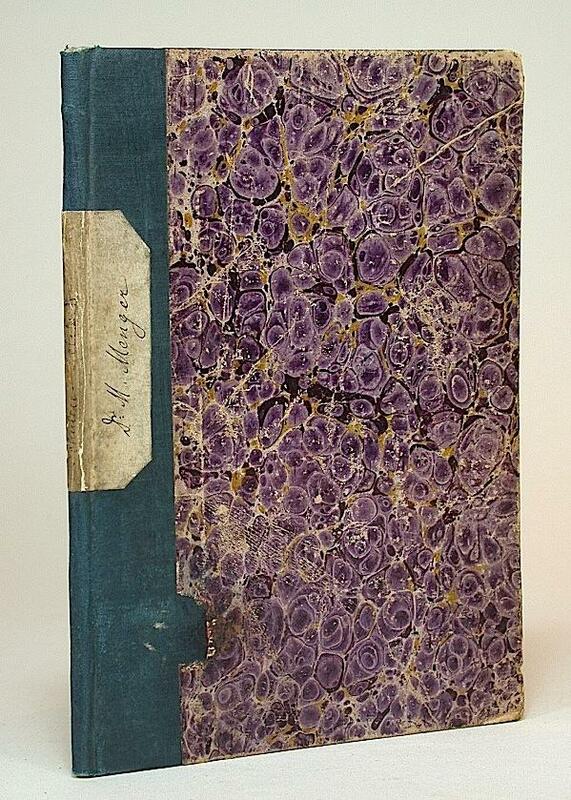 Purple cloth, faded at edges and spine, with stain to front cover and small mark to rear. Spine chipped at top and bottom, corners bumped. Exlib. Ink stamps on front endpapers, blind-stamp and small stains to title-page, library sleeve and plates on rear endpaper. Occasional foxing. Small's narrative on Canada includes hunting and fishing advice, as well as many key locations of interest to travellers. The photographs by venerated Canadian photographer William Notman depict scenes such as the Natural Steps in Montmorenci, Montreal Harbour, and Niagara Falls. London: Macmillan & Co., 1866, 1866. FIRST LONDON EDITION. 1 vol., illustrated by John Tenniel. 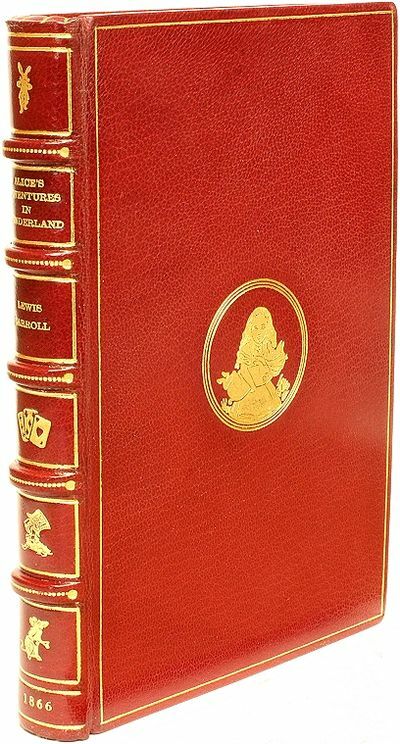 Bound in fine full red morocco, ribbed gilt decorated spine, gilt Alice and pig to front cover and the Cheshire cat to rear cover, covers ruled in gilt, gilt dentelles, all edges gilt, green pastedowns and endpapers, original cloth covers and spine bound in rear, by the Chelsea bindery. Internally clean and bright, In LIKE NEW condition. Kinkel, Gottfried, German poet and revolutionary (1815-1882). 23 Blomfield Road, 1. II. 1866. - 8vo. 2 pp. on bifolium. To an unnamed lady, recommending a secretary for doing the paperwork now that one Dr. Scheer has died. 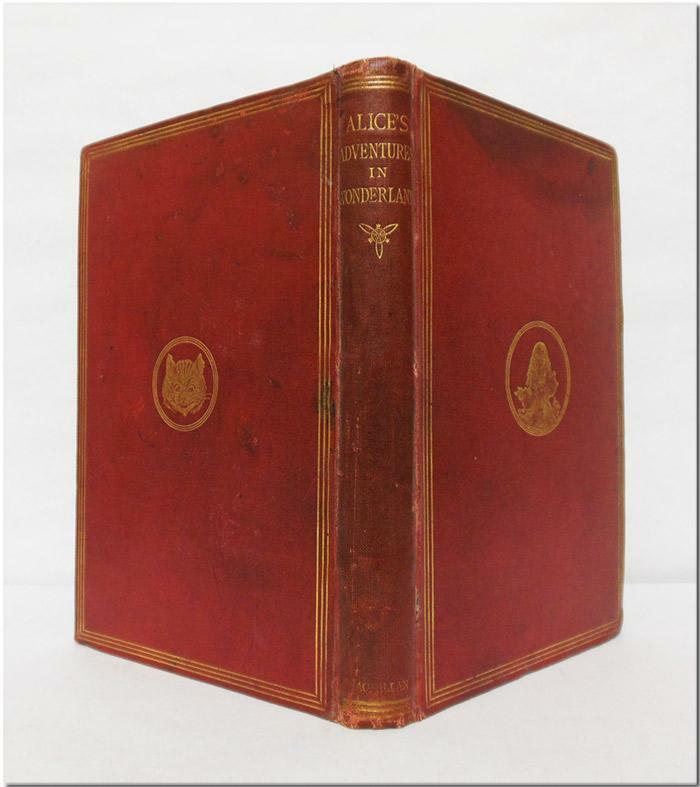 FIRST EDITION, second (i.e., American) issue, comprising sheets of the suppressed 1865 printing of Alice with new title-page. 42 illustrations by John Tenniel. Original red cloth. Spine very slightly darkened, very minor wear to spine ends, small spot on back cover, hinges tender. A handsome copy. Half morocco case. Alice's Adventures in Wonderland is the most frequently quoted book in the world, after the Bible and the works of Shakespeare. Alice has been translated into more than 150 languages and gone through many hundreds of editions and countless stage and screen adaptations. "Alice's Adventures in Wonderland and its hardly less famous sequel Through the Looking Glass (1872), although ostensibly written for children...are unique among 'juveniles' in appealing equally if not more strongly to adults. Written by an Oxford don, a clergyman, and a professional mathematician, they abound in characters--the White Knight, the Red Queen, the Mad Hatter, Humpty Dumpty--who are part of everybody's mental furniture. And the philosophic profundity of scores, if not hundreds, of these characters' observations, long household words wherever English is spoken, gains mightily from the delicious fantasy of their setting" (PMM). On July 4, 1862, the Rev. Charles Dodgson ("Lewis Carroll") first told the story of Alice while on a river expedition with a fellow Oxford don and the three Liddell sisters, Alice, Edith, and Lorinda. The story's namesake, Alice, asked for a written version of the tale, and Dodgson gave it to her for Christmas 1864. On seeing that manuscript, "Alice's Adventures Underground," friends encouraged him to expand the story into a book. In a letter to a friend Dodgson joked that the title might be taken to mean "instruction about mines," and suggested the alternatives "Alice among the elves/goblins" or "Alice's hour/doings/adventures in elf-land/wonderland." "This second issue comprises those copies of the first edition still unbound when Lewis Carroll decided in July 1865 to cancel the edition. In 1866 the copies on hand were sold to Appleton and  new title-pages were printed at Oxford, replacing the originals. The binding was evidently done in England, duplicating that for the first issue except in the substitution of Appleton's name for Macmillan at the foot of the spine and in the omission of a binder's ticket. Textually the Appleton issue agrees with the Macmillan 1865, the only difference being the cancel title-page" (Robert N. Taylor, Lewis Carroll at Texas: The Warren Weaver Collection). This is a very handsome copy of a beloved and much-read book, far superior to the worn and repaired copies usually encountered. New Zealand, 1866 This delightful photograph and autograph album chronicles the world of young Miss Flaxman in New Zealand in the 1860s. Albums and scrapbooks assembled by women in the Victorian era have come under increasing scholarly scrutiny for the insights they provide into women's public and private lives and thoughts. This 1860s New Zealand album, with dozens of photographs, original watercolors, manuscript poems, and printed ephemera, is a rare survival and a valuable resource for women's studies. 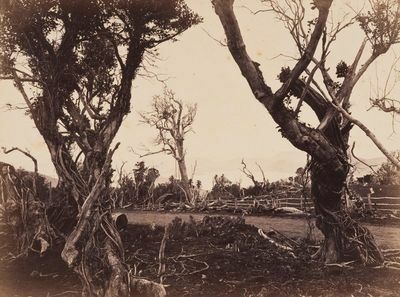 The album is highlighted by its splendid early New Zealand photographs. Three carte-de-visite photographs depict identified Maori: one is a portrait of two identified Maori women, the other two are of Paora Parau, a Maori chief from Poverty Bay who served in the native contingent of the military. The portrait of two Maori women has the backstamp of J. D. Wrigglesworth, Wellington. 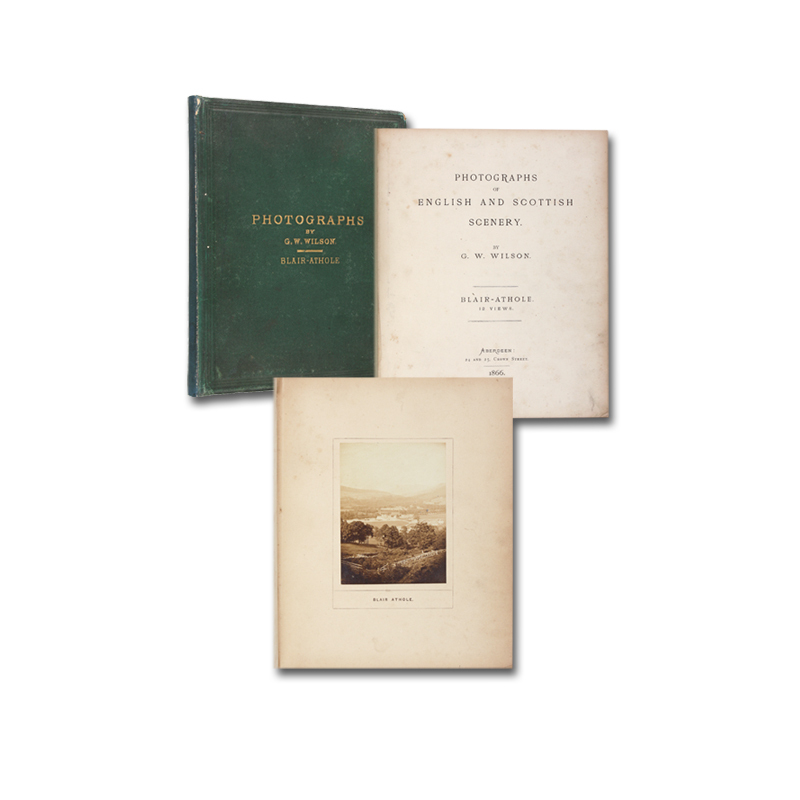 The album also contains twelve photographs of towns, landscapes, and buildings, including views of the town of Nelson, Maitai Valley, Te Ore Ore in Wairapa, and a house in St. Kilda. Several photographs are by Burton Brothers, the leading New Zealand photographer of the day. This charming album also contains six delicate watercolor landscapes and views of houses, presumably by Miss Flaxman, dozens of pieces of Victorian chromolithography, and numerous manuscript poems including a "Maori acrostic," lines by Miss Flaxman's friends, and poems by Poe, Browning, Tennyson, and others. Study of this album of photographs, manuscripts, drawings, and ephemera will yield valuable information of women's lives in the 1860s. The album is especially noteworthy for its photographs. New Zealand photographs of this vintage, particularly portraits of identified Maori, are rare in the market. Summary of contents. This finely bound album contains the following objects. Names, dates, and places are often provided in inscriptions and captions. 21 photographs, mainly landscapes, city views, and houses 7 watercolors and pencil drawings, mainly houses and landscapes 37 manuscript poems ranging from a stanza to three pages 2 handmade paper flowers, pressed 26 pieces of Victorian color lithograph ephemera 2 engravings 2 pages of autographs in rectangles drawn in the form of visiting cards Provenance: Miss Flaxman, signed gift inscription to her dated 1867 (many of the photographs are inscribed and dated on the verso with the compliments of Capt. Underwood, her future husband); inscribed by Mrs. Underwood ("née Flaxman") to her daughter and dated Bairnsdale, 1899. 4to. Original red morocco gilt extra. 72 leaves. 21 albumen photographs, 3 of them CDVs, most of the others approx. 5 x 6 inches. 7 delicate watercolor and pencil landscapes and views of houses. Very good condition. See below for detailed inventory of contents. New Zealand, 1866 4to. Original red morocco gilt extra. 72 leaves. 15 albumen photographs, 3 of them CDVs, most of the others approx. 5 x 6 inches. 6 delicate watercolor landscapes and views of houses. Very good condition. This delightful photograph and autograph album chronicles the world of young Miss Flaxman in New Zealand in the 1860s. Albums and scrapbooks assembled by women in the Victorian era have come under increasing scholarly scrutiny for the insights they provide into women's public and private lives and thoughts. This 1860s New Zealand album, with dozens of photographs, original watercourse, manuscript poems, and printed ephemera, is a rare survival and a valuable resource for women's studies. The album is highlighted by its splendid early New Zealand photographs. Three carte-de-visite photographs depict identified Maori: one is a portrait of two identified Maori women, the other two are of Paora Parau, a Maori chief from Poverty Bay who served in the native contingent of the military. The portrait of two Maori women has the backstamp of J. D. Wrigglesworth, Wellington. The album also contains twelve photographs of towns, landscapes, and buildings, including views of the town of Nelson, Maitai Valley, Te Ore Ore in Wairapa, and a house in St. Kilda. Several photographs are by Burton Brothers, the leading New Zealand photographer of the day. This charming album also contains six delicate watercolor landscapes and views of houses, presumably by Miss Flaxman, dozens of pieces of Victorian chromolithography, and numerous manuscript poems including a "Maori acrostic," lines by Miss Flaxman's friends, and poems by Poe, Browning, Tennyson, and others. Study of this album of photographs, manuscripts, drawings, and ephemera will yield valuable information of women's lives in the 1860s. The album is especially noteworthy for its photographs. 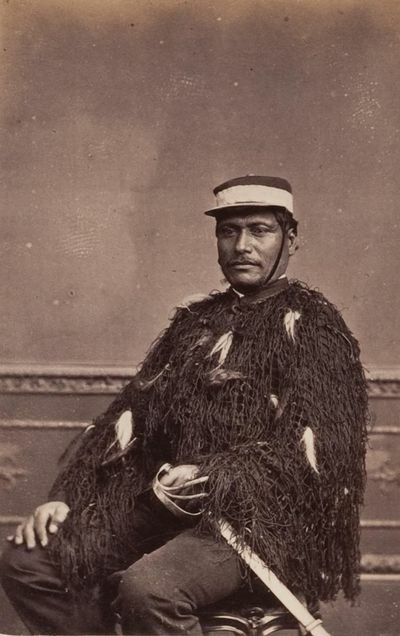 New Zealand photographs of this vintage, particularly portraits of identified Maori, are rare in the market. Provenance: Miss Flaxman, signed gift inscription to her dated 1867 (many of the photographs are inscribed and dated on the verso with the compliments of Capt. Underwood, her future husband); inscribed by Mrs. Underwood ("née Flaxman") to her daughter and dated Bairnsdale, 1899.